In May, BDU’s CEO Lisa Peskin had the opportunity to once again join a panel of “sharks” for “Sales Shark Tank,” a presentation for Kim Richmond’s Personal Selling course at Rutgers University in Camden. During the “Sales Shark Tank,” teams of students from Richmond’s class practiced demonstrating their sales skills by presenting various products they’ve created to the panel of “sharks.” The sharks then chose one team as the winner to “invest” in their idea. BDU’s Lisa Peskin (second from left) joins Kim Richmond (standing) and others for “Sales Shark Tank” at the conclusion of Richmond’s Rutgers University course, Personal Selling. At the end of each semester, once the “Sales Shark Tank” is completed and the course is wrapping up, Richmond provides her students with three pieces of advice they can take with them wherever they are headed next. You are the most important brand in the world. Build your skills and expand your network. Networking is all about giving and connecting. Be fearless and step outside your comfort zone. Magic things happen when you step outside your comfort zone, and you have so little to lose by doing so. Believe in yourself, and do it every day. Whenever you doubt yourself, remember your accomplishments. Kim Richmond is a passionate marketer, speaker and author. She is the founder of richmondmarketing+communications, a marketing strategy, branding and communications consulting practice specializing in digital marketing. She has years of experience branding and marketing major brands and holds a seat on the Board of Governors of the Philly Ad Club, the largest professional organization of marketing and advertising professionals in the Philadelphia region. 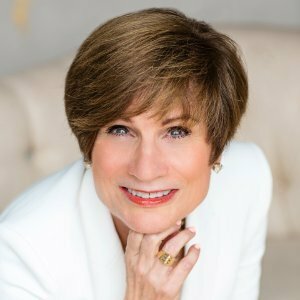 She is also the author of the textbook The Power of Selling, for which Lisa has recorded several video chapter introductions. You can view Lisa’s video, “Get What You Want in Life,” below, and the entire video library can be viewed on The Power of Selling YouTube channel.